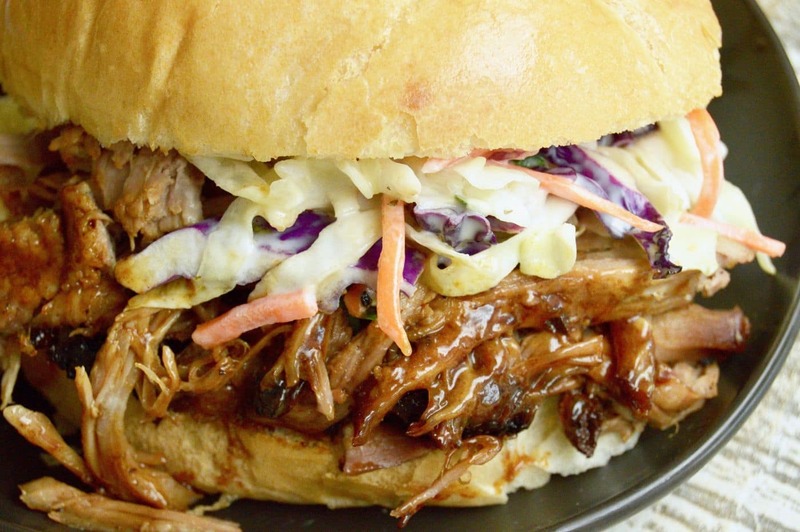 The trick to this pulled pork is cooking it all day at a really low temperature. 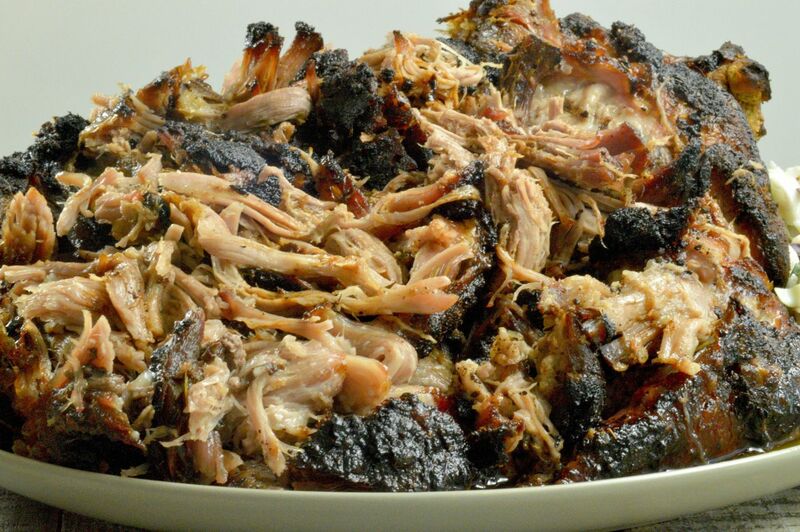 When it’s done it is so moist and tender that it literally falls apart as you are shredding it. Easy/Hard: Easy, you brine the pork the night before you are going to cook it to let the flavor get into the entire roast. After that its just letting it cook on its own while you do other things. Make Ahead? Absolutely. You can make this ahead and just warm it up before shredding the meat to serve. 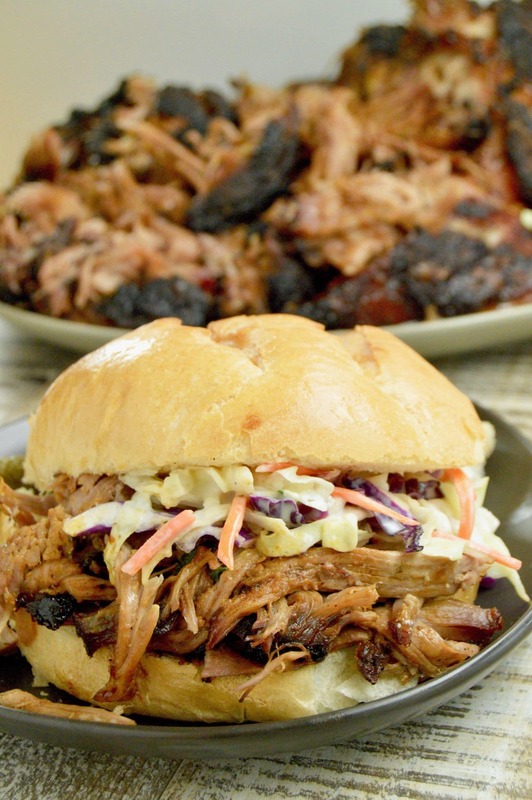 Party Food: Pulled pork is ideal for entertaining. But if you have a small group of people, go ahead and make a larger roast because it freezes really well. (If Freezing it freezes best as a roast. You can freeze the shredded meat, but it’s less likely to dry out if frozen as a roast. 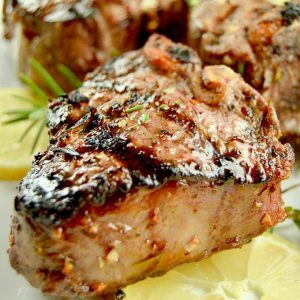 Cooking Options: I share the recipe for doing this in the oven but you can also do this on a grill. Place the roast on indirect heat and make sure to keep the temp regulated around 275°… (turn on burner on, leave the others off and see if it gets you to the temp, add another burner one at a time. 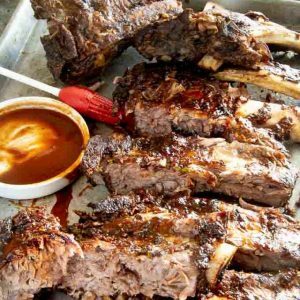 Place the roast in roasting pan on the grill or use a drip pan to catch all the juices and avoid starting the roast on fire. 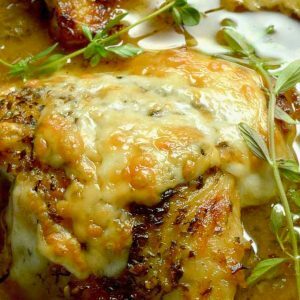 Looking for other great meals for entertaining? 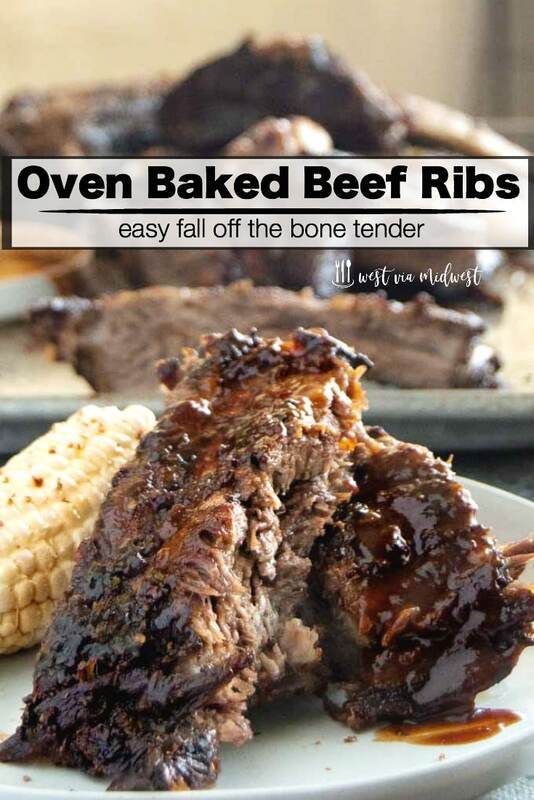 Check out my French Onion Chicken, Slow Cooker Cuban Mojo Pork from my friend at Lemon Blossoms or this easy Oven Baked Ribs Recipe I share on how to cook low and slow for fall off the bone tenderness! Mix all spices and sugar together and store in air tight container. Depending on the size of you roast, you may have leftover mix. As long as it is stored properly it will stay fresh for a long time. This mixture works great on Roast Chicken, Ribs and Pork Chops too. Place Brown Sugar, Salt, Old Bay and 4 Tbs of Dry rub mix in water and mix until completely dissolved. Add Pork shoulder to water making sure roast is completely submerged. (add additional water if you need to, just stir to mix thoroughly. Cover with plastic and allow to rest for minimum of 8 hours. Drain of brine mixture and pat roast dry. Coat all sides of the roast with the dry rub mixture very generously. Place Roast on the top section of a broiling pan. Add 1 cup water to the bottom section to absorb cooking juices and spices as it cooks. Check periodically that water is still present, adding some if it dries out. Cook at 275º for 8-12 hours or until roast reaches 200 degrees. (yes, this is really high, but it is the optimum temp for pulling the pork. Once roast hits 200º, remove from the oven and let it rest for 1 hour. 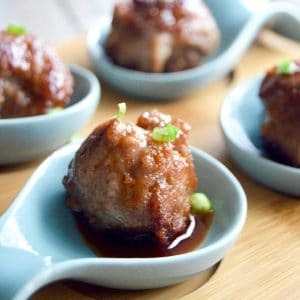 Pull/Shred pork into bite size pieces. Serve alone or on rolls for sandwiches using leftover pan juices as a sauce. Recipe Notes Go big with this recipe, leftovers are a must. This dish also freezes really well if wrapped in plastic. 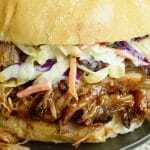 I love using cole slaw on a pulled pork sandwich! This looks amazing and is such a great combination of flavors! Im working on a coleslaw recipe to go with it Kim! Its just not quite right yet! ~m. This is great, works well served in all the different variations.